Employees aren't just the front line of any business. To customers, they are the business. Nothing is more important than arming these essential employees with the knowledge they need to find the best solution for each and every customer. 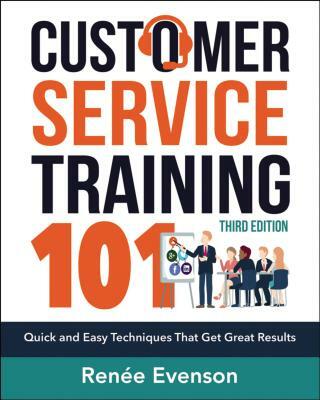 Whether you're a manager, owner, or employee, Customer Service Training 101 gets you up to speed fast. The completely revised and updated third edition addresses every aspect of face-to-face, phone, online, social media, and self-service interactions. Using scenarios, guidelines, and practice exercises, this inspiring training manual explains what to say and do, what to avoid, and why interactions go astray. Assessments and examples help you: Create positive first impressions * Speak and write effectively * Listen attentively * Identify needs * Develop trust, establish rapport, and make customers feel valued * Connect with people in person, on the phone, or via email or social media * Confidently handle customer complaints * And more Customer service skills are essential to the success of your company. This popular crash course equips you and your employees to excel in this important role.